Thanks for looking at our ATC 6x10 Aluminum Utility Trailer! This trailer is ALL aluminum, including the decking. It has 15" aluminum wheels w/radial tires, LED lighting,torsion axle, drop down ramp gate, and much more! This is a very high quality trailer that is in stock and ready to be put to use. 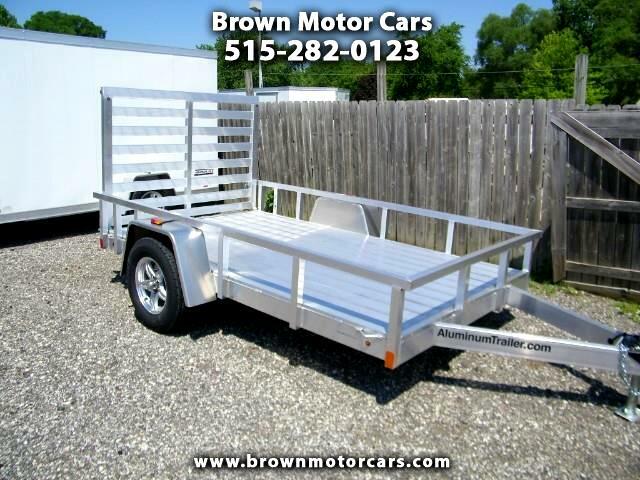 Give us a call with any questions or stop out and take a look at this trailer today.